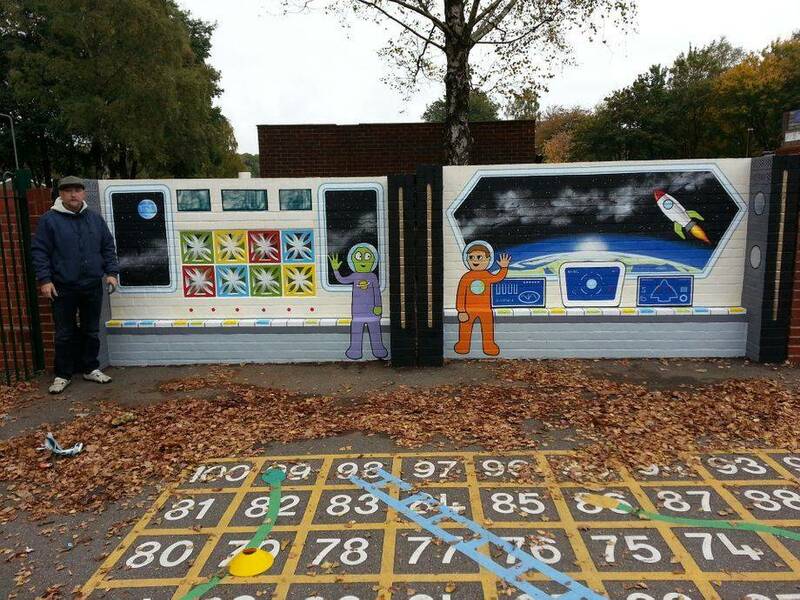 These murals were painted in the playground at Vigo Village primary school, to promote imaginative play and to brighten up the area. 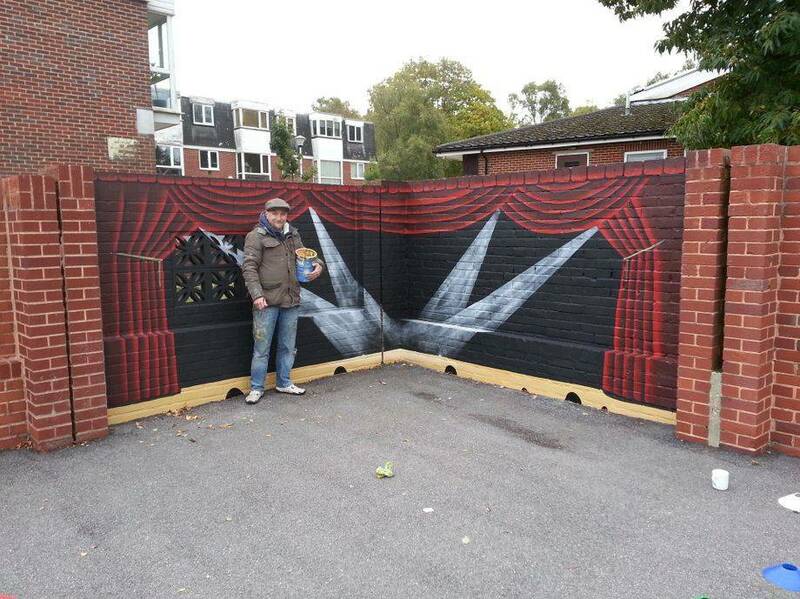 The first mural is of a theater stage and the second is the inside of a spaceship with stars, planets and rockets visible from it's windows. These murals took us six days to complete.